For a limited time, win a Kindle Fire when you refer a friend or family member! Call (916) 999-1085 today or click below to find out about more special offers! LANAP is the first and only FDA cleared laser procedure for the treatment of gum disease. Treat your gum disease and save your teeth! Don't be embarrassed by your ill-fitting dentures or missing teeth anymore! Dental implants can restore the beauty and function of your smile! Dental implants are designed to look, feel, and act like your natural teeth. Be confident in your smile once again! Welcome to the Website of Sacramento Periodontics! Welcome to Sacramento Periodontics! This is a specialty practice, primarily treating gum disease, placing implants, and performing cosmetic treatments for smile enhancement. We are happy that you understand the importance of periodontal health, and look forward to helping you to achieve your goals. Our mission is to always provide a warm, friendly, and professional environment for our patients, and to administer state-of-the-art dental care based on modern technology and scientific research. Dr. Shaunda Thomas is one of only a handful of doctors in California specially trained to perform the LANAP Laser Treatment for periodontal disease. LANAP gently removes the harmful bacteria that cause gum disease without harming the healthy gum tissue. This procedure is minimally invasive and most patients are able to return to work the same day! Click here to learn more about LANAP. Dental implant technology has greatly advanced in recent years. Implants now look, feel, and function like your natural teeth! 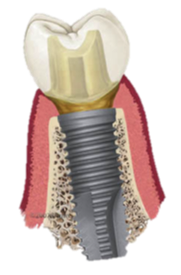 Dental implants are surgically placed in the jaw bone where they integrate naturally with the bone. This bond, called osseointegration, is permanent and strong which allows you to eat, drink, and talk normally! Our office has an impressive 98% success rate with dental implants. Let us restore your smile and replace those uncomfortable dentures! Click here to learn more about dental implants. We maintain a scheduling philosophy that focuses on accessibility and patient accommodation, and aim to provide our patients with the education and tools needed to maintain optimum periodontal health. 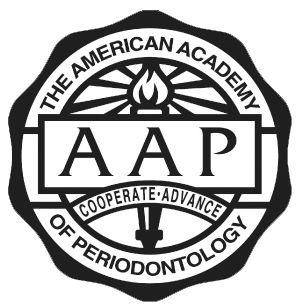 We would love to schedule your periodontal appointment today! Please call our office at (916) 999-1085 or click here to schedule your appointment.